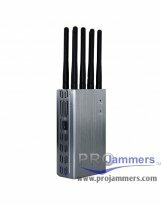 The TX101A6 is a powerful jammer that jams up to 7 frequency bands and is a complete solution for wide band requirements. It is highly recommended as a complete jamming solution for different frequency jamming needs. 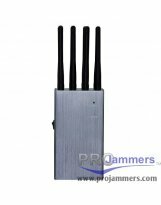 The frequency jammer TX101I is an intelligent and highly recommended device for discreet jamming and effective use particularly inside offices. This inhibitor will inhibit GPS tracking systems (optional) and GSM / 3G. Especially recommended for offices, meetings and personal spaces use. The frequency jammer TX101I CAR has the same features as the standard TX101I but has the added feature of a power module designed to connect directly to the vehicle. TX101I CAR also has an internal battery that allows autonomous and portable use. 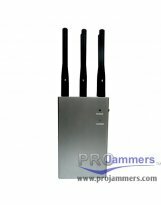 Through the TX101ICAR mobile jammer you will be able to inhibit GPS tracking systems and GSM communications. The TX126 is a revolutionary portable inhibitor of most frequencies with some innovative and technical features. Besides jamming the mobile phone frequencies TX126 allows additional jamming of high spectrum frequencies even with its compact size. TX126 is the ultimate in portable jamming. The TX121A is developed for customers who require a high quality and portable product. 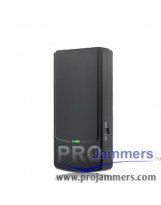 The jammer TX121A is perfectly suited for mobility and it is also designed to suit the specific needs of its target client and features an intelligent cooling system that allows continuous use 24/7. The TX121B is developed for customers who require a high quality product that is portable. Our model TX121B is perfectly suited for people on the go. It is specially designed for mobility and features a smart cooling system that prevents overheating. 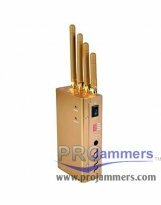 The cell phone jammer TX121D is a high quality portable system developed for customers who requires portability and mobility. TX121D is designed for ease of use and function. 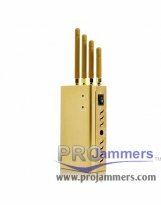 This jammer fit perfectly to jam the GPS trackers or locators in 2 way, this jammer do not allow the GSM communications and the GPS position. The TX121E is developed for customers who require a portable high quality product. This jammer features a smart cooling system and the advantage of mobility. 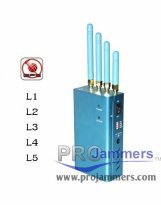 It has the typical frequencies of telephony and combines the latest generation of 4G frequencies to TX121 models, a comprehensive solution for mobile jamming (voice and data networks). 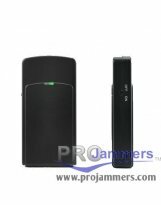 The mini jammer TX130A is developed for customers who require a portable and compact jammer for meetings, small offices and vehicle interiors for jamming voice frequencies and main data frequencies. 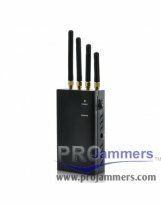 It offers voice frequencies jamming and most used frequencies such as GSM, DCS and 3G to prevent data theft and intrusion. Easy to handle and discreet. 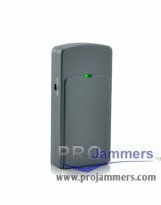 The jammer TX130B is developed for customers who requires a portable and discreet jammer for jamming GPS locators and trackers. It is one of the most affordable option to jam the GPS locators and it could also jam the GSM spy bugs or GPS locators with built in microphone. 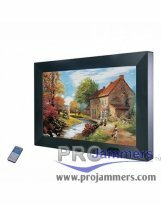 Are you looking for cheap phone jammers? 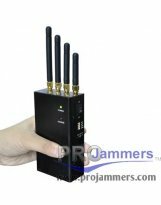 Are you looking for cheap mobile phone jammers to block GSM, GPS, 3G or 4G frequencies without making a big investment? Please enter and read our article. 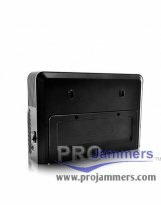 Actually there is a great demand for home alarm jammers, and they are bought daily in many websites that offer them as such, without any type of control. The drones have gone on to become a very common gadget but pose serious security risks and threat to the privacy of citizens. 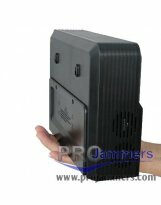 The TX130D is developed for customers who requires a portable and discreet jammer for use in meetings, small offices and classrooms. 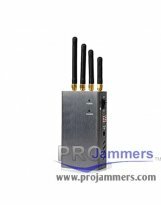 This device jams the most widely used wireless band 2.4 GHz for data transmissions, internet connections and hidden cameras. 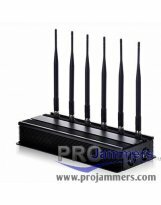 CHOOSE A JAMMER ADAPTED TO YOUR NEEDS. 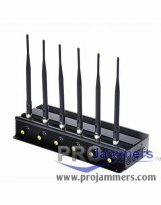 It is important, before choosing a mobile phone jammer, assess the specific needs that you have, because it is not wise to choose cell phone jammers for all frequencies, at first because a multispectral jammer device that have a wide spectrum have a price too high and secondly because it will jam frequencies that are not necessary or do not have any function to block them, the best way to choose a frequency jammer is to choose one that has a specific function, and jam the frequencies that you really want to block. Although we offer broad spectrum inhibitors, hardly able to cover all frequencies at the individual level, as you can see in the articles of our blog we advise you to read, please click here. Each location has specific needs, so that each place should be studied. The reason is that each place have unique qualities, and this makes that a jammer with the same features in different environments have different results, especially in the jamming range. The most important concepts are for example the architecture, building materials, position of the closest repeater, signal strength in the area, etc. All this will determine the performance needed for the jammers to acts as desired, providing the best results in the work environment. 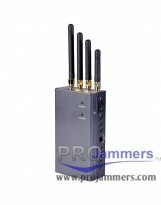 After choosing the type of jammer that you want, with the frequencies required for your project, you can easily browse our website to identify the jammers often as you need. However, if you are not sure, you can contact our customer service team, they will not have objection to suggest the most appropriate equipment for their needs. It is better to be safe and not venture without knowing whether the equipment will be suitable for your needs. 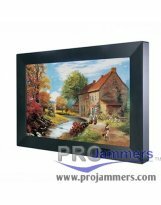 The jammer model determines how it is used, so keep attention to this when handling. Follow the advice provided by our advisers, or visit our sections FREQUENTLY ASKED QUESTIONS (FAQs) and our BLOG. Want to be B2B - B2C distributor? Copyright © 2017 Dynamic Forensics Ltd. All rights reserved.